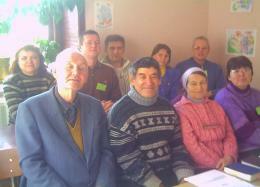 Cherkassy Pastors’ Conferences. After a brief delay at the Minneapolis-St. Paul Airport, we were on our way for two weeks of teaching in Ukraine. about 250 attended the second conference, held at House of Gospel Church. 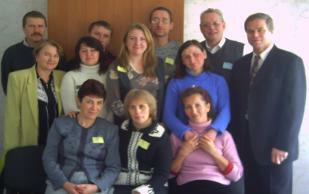 disabilities among church leaders in these areas of Ukraine. session lasted approximately 1½ hours per day. Several individuals expressed interest and gratitude for what was presented in the seminar. I want to share just a few stories. grateful for the encouragement he received to continue in his ministry, and for some new ideas about what he could do. around them to sing and pray at the hospital, many of the medical staff visited the pastor’s church and received Christ. with persons who are disabled. His hope is that some deacons from his church can be designated to set this vision in motion. the seminar to guide them in establishing a Christian rehabilitation center. education training to her staff. Since she is a member of Pastor Victor’s church in Zolotonosia, she may be tapped to help in ministry there.